It was a marvelous weekend and I hope everyone can say the same. Made my way down to Monroe, Georgia for several Holiday Open Houses in the area. Hodge Podge Antiques, Markets of Monroe, Davis Street Antiques, and The Cotton Depot were all decked out for the Christmas holidays. First stop, Hodge Podge Antiques. Always delightful with lots of dealers and creative artisans, I knew I would find treasure here. One of my favorite booths is first and center as you walk into the shop. These sweet gnomes dolls were priced to take home more than one. 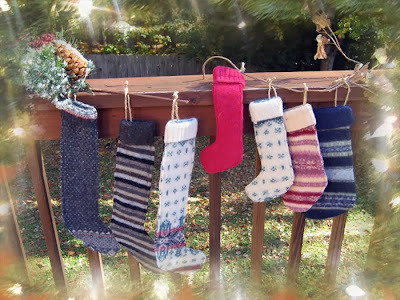 Felted sweaters were repurposed into stockings and vintage Santa's found their way into many neat Christmas pieces. This beautiful booth was filled with mica homes and churches. Trees filled with everything Christmas. Pretty glitter stands have so many uses. Not a creature was stirring, not even a chocolate mouse. So many tasty treats were offered by these sweet little mice stole the show. I walked away with two bags worth of treasure. So after dropping them off in the car, I then moved on to Davis Street Antiques. James always puts out the most interesting pieces to draw you in off the road. My friend, Cheryl, is one of those folks with an amazing eye for blending the most common of objects and turning them into delightful vignettes. I always find treasure to take home with me in her space. So many lovely spaces decorated for the holidays that it was hard to know where to look first. More of Cheryl's lovely booth. I purchased a beautiful muted silver goosefeather type tree to display my antique ornaments. The magic of threes in a group becomes an instant collection. Pretty mica house filled with pretty trees is a Christmas favorite. Such pretty items served up on a vintage silverplated tray. White mica house nested inside a birdcage is a lovely decorative element. Vintage christmas ornaments are bursting out of this garland wreath. Such a brilliant and lovely wreath captures light at every angle. Would look fantastic above a fireplace mantle. As always, James had a spread that Top Chefs would clamor over. So many tasty morsels that I must shamefully share that I made a little doggy bag of treats for my 45 minute drive home. Can you believe that the Thanksgiving holidays will be kicking off in two weeks? I can't and the way the holidays fall this year, we actually lose a retail weekend. Those of us in any business are scrambling like mad to get Holiday Open Houses off the ground and then, of course, we want to visit every one ourselves. Part of my holiday madness is due to spending a week in Anchorage, Alaska visiting my son and his wife and their three children, my raviolis. It was a wonderful visit and one that I sorely needed following the passing of my husband in September. To be surrounded by those who love you helps heal a broken heart. 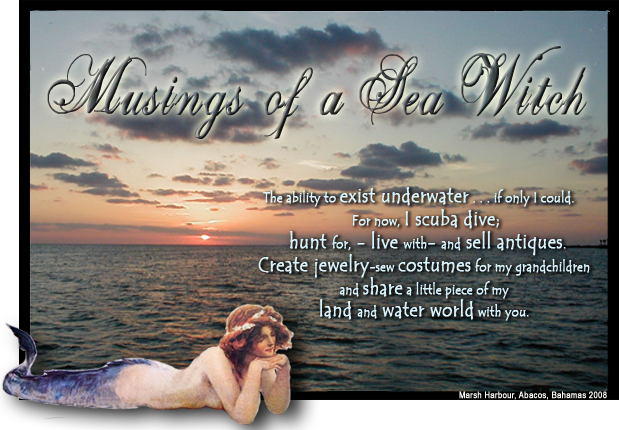 Had a great weekend for finding treasure and in between the hunt I was pricing and setting items up in my booths. With my main living area looking like the holidays have thrown up in it, I was happy to get most of it out of the house and in the booths. I spied a sweet transferware piece on the Vintage Village facebook page and asked "the vintage hag" to hold it for me until I returned from Anchorage. When I came by the shop on Friday, I found a lot of treasure that had to come home with me. Pretty little chippy child's rocker is perfect for the upcoming holidays. Keeping this baby for myself. I adore vintage tinware pieces and this US Kreamer is a keeper. Ditto with the treenware, these two antique butter paddles are fantastic. Sweet child's feedsack dress will be in my booth next week. Gorgeous flow blue soft paste platter and a sweet pewter salt and pep set. One of my Christmas displays in my main booth. Trying to get ready for the Queen of Hearts - Buford Open House on Thursday. Is there ever enough time? Filled the hutch with pretty plates. Mercury glass piece are a popular seller. Pretty primitive Christmas pins and other decorative elements. Delightful light up Candyland house will enchant children. That pretty little chair at the start of this post is now decorated for Christmas. Mica snowballs are fun decorating elements. Sweet mica house and snowballs on a silverplate tray makes a nice holiday display. I almost kept this pretty Victorian quad plated bowl. My best find this weekend, a gorgeous Victorian quad plate tea/coffee service set in excellent condition. It is in my Victorian booth waiting for someone who will take it home. My Victorian booth almost ready for the Open House. 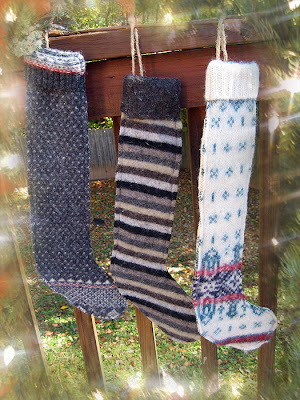 I repurposed wool sweaters from Goodwill by felting them and then turning them into stockings. 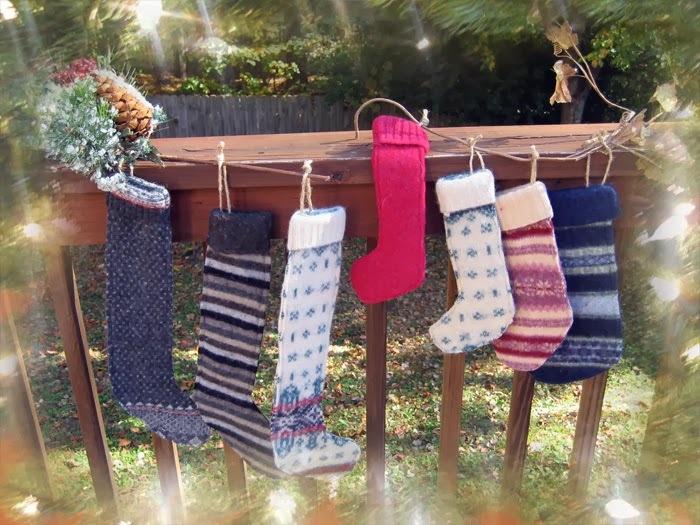 This was a fun project as I was able to get about 6 stockings of different sizes out of one sweater.